Bike share: Uber for bikes? Bike share is a key way to get more people on bikes. Starting in Lyon, France in 2005, there are now hundreds of schemes around the world. Bikes are left at locations around a city, and users can register to get a code to release a bike and drop it off at another location. In Aotearoa, NextBike has pioneered bike share in Auckland and Christchurch, and NZTA is getting involved. What about Wellington? With a flat, compact CBD, Wellington seems ideal for bike share, but so far it hasn’t happened. That is until July, when a private startup Mtshare, inspired by bike share schemes in Shanghai, began leaving bikes around the CBD. A smartphone app (for android or iOS) lets you register and get a code for the combination lock on a bike. Mtshare is a “dockless” bike share scheme – bikes can be left anywhere, not just at a purpose built docking station. This has the advantage that you don’t need to find a free space on a docking station to return a bike, but the disadvantage that bikes can end up in non public places, or in some cases create obstructive heaps of bikes at popular destinations. How does it work in practice? I fired up the app outside the central library. The map showed the locations of available bikes – none at the central library, but three close by in Cuba St. However two of these were not on the street. A closer look at the map showed that the bikes appeared to be located in apartment buildings – Mtshare say they’re working with customers to persuade them not to appropriate bikes for personal use. The third bike was conveniently parked on a bike rack, but unfortunately the app gave me the wrong code to unlock the bike. The app showed more bikes down at the railway station – a convenient location, so I headed there and this time the bikes were accessible, and I was able to get the correct code for a lock. The bikes have a small frame and 507mm (24″) wheels, and the seat height is fixed. Most adults would find them uncomfortable to ride for any distance, but at 1.7m I found it OK for a ride along the waterfront, and indeed it felt a bit like rediscovering BMX as a kid. Mtshare has plans for larger bikes, with adjustable seats. The helmet attached to the bike was a bit small for me. Some people don’t like the idea of using a helmet that other people have used, but to me it seems no different from using the headrests of airplane seats. The bikes have stands, which means that they can be left anywhere, even if there isn’t a fixed bike stand. There is a bell but no lights. The next batch of bikes will have baskets. At the moment, there is no charge for using the bikes, and Mtshare would like to continue this, instead supporting the service through advertising. Similar schemes have also been mined for location data. With more bikes, and better sizing, Mtshare could be a good way for bike-less people to experience the convenience of biking. And with good management we can hopefully avoid the downsides that have appeared in some other places. I recently spent three weeks in Japan, chasing cherry blossom (Sakura) on a Japan Rail Pass. But I also tried out cycling; renting and borrowing bikes in several towns and cities. 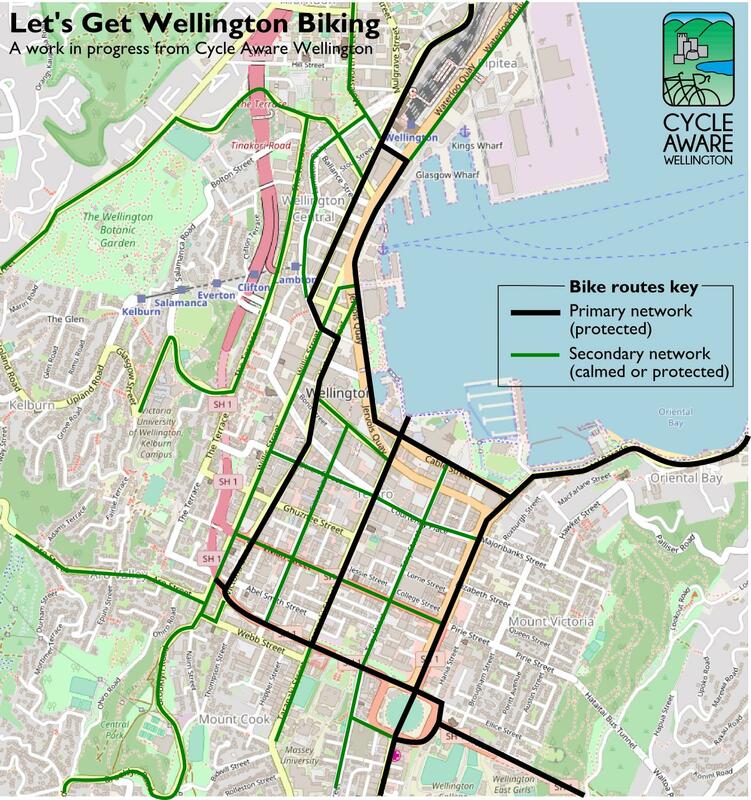 What did I find out, and are there lessons for cycling in Wellington? As in other parts of the world, electric assist bikes (eBikes) are ubiquitous in Japan. eBikes comprise 53% of Japan’s bicycle production, although there are indications that the growth is flattening. Most have a Panasonic motor system, that I haven’t seen in NZ: crank drive, with a relatively compact battery. Standard family transport is an electric assist cargo bike, with child carriers front and rear. At a suburban rail station, I saw a family roll up: Dad pedaling, Mum perched behind, and child in a seat. Dad jumped off and ran for the train, while Mum took over pedaling to drop the kid off at daycare. I’m still not sure how Japanese eBike users charge their bikes. Many bikes are left on the streets overnight, but they seem to be left with batteries on, and not connected to a charger. Maybe they have two batteries and rotate them around. Whenever footpath cycling is mentioned, it’s stated “that’s what they do in Japan”. Well, yes and no. Footpath cycling is illegal in Japan unless signs specifically allow it. However in the 1970’s oil crisis, it seems that police made a policy decision not to prosecute footpath cycling. In 2011 the Police said they would encourage people between 13 and 70 to ride on the road rather than the footpath, but it still seems that people of all ages cycle on the footpath, including the police themselves. According to a paper presented at VeloCity 2014, Japanese authorities are concerned about the risks of footpath cycling, particularly to the increasing numbers of elderly pedestrians. So they are creating more cycle paths and designated shared paths, and encouraging cyclists to use them. I saw signs of this investment. One example was Yamaguchi, a provincial capital about the same size as Wellington, where major intersections had underpasses for cyclists and pedestrians – just what Wellington needs on Cobham Drive. Does the Japanese footpath cycling regime work? As an (elderly!) pedestrian I had a couple of times that a cyclist whooshed past in a way that startled me, but I didn’t see any crashes. When I did cycle, it was often very useful to use footpaths as an alternative the busy multilane city streets. However, Japanese cycling style is very different from NZ. Very few footpath cyclists look like they’re training for the Tour de France – typically they’re Lycra-free leisurely commuters. Although Japanese will ignore laws, such as the one that prohibits riding with an umbrella, there’s a very strong ethos of obeying custom. Japanese pedestrians, cyclists and drivers will never go through a red light, even if there are no other vehicles around. And traffic light sequences are long – while you’ve got a lot of time to amble across a pedestrian crossing, you might have to wait several minutes for your phase to come up. Another reason footpath cycling works is that Japanese streets generally don’t have a lot of vehicle entrances, unlike NZ where every house has a driveway and the risk of a motor vehicle crossing the footpath. We need to be careful about translating the Japanese experience of footpath cycling to the NZ environment. Whenever we used bikes, we were warned to be careful where we parked them. Areas around businesses often have signs prohibiting bike parking. Bikes are frequently removed, and there’s a substantial cost to recover them. At the Kiyomizu Temple in Kyoto the only legal bike parking cost $3 and was half a kilometer from the temple. Railway stations had huge bike parks – I suspect a hazard is failing to find your bike when you return! Given the ubiquity of both public transport and cycling, I was surprised that there doesn’t seem to be more use of bikes on public transport. At the weekend, we saw a number of recreational cyclists at Tokyo station with touring bikes packed in bags, heading off for a ride – an hours ride on a Shinkansen high speed train can put you hundreds of kilometers from the metropolis. It seems you can take a bike on a train if it is “Rinko”ed – bagged with wheels removed. You can also get pedals that pop off, making the Rinko process easier. Mini Velos, bikes with small wheels but standard frames, are common in Japan, I think because they’re easier to store and transport. Many places have some sort of public bike hire, and they seemed to be well used. There’s generally some instructions in English. We used one in Kanazawa that worked well (after a bit of geographic confusion that had us riding north from the railway station rather than south). After registering at the automatic machine we punched in a code to unlock our bikes, which we dropped at a rack close to the Castle. After walking around we picked up bikes from another rack, and rode back to the station. Takamatsu had a slightly bureaucratic system where we needed our passports, and the requirement to give an address was a bit awkward as our accommodation that night was on Japan’s one remaining train sleeper service. But once we’d got our registration cards a helpful attendant set up our bikes and guided us to a natty bike escalator that took us up to street level. It’s also fairly easy to rent bikes, generally near railway stations. There are outfits running bike tours – we did a half day with Tokyo Miracle Cycling Tour which took us around alleyways and gardens in central Tokyo, avoiding the worst of the multilane highways. Kyoto Cycle Touring Project rented us bikes and sold us a map that helped navigate the city, using the cycle path along the Kamogawa River, and the sakura lined Philosopher’s Path. Our hotel in Yamaguchi had a fleet of complimentary bikes in the foyer for guests. What can we learn from Japan about cycling? Japan shows us that you can have a very high mode share of cycling (20% in Tokyo), with everyday cycling dominating over lycra. It also shows that eBikes and public bike schemes have the capacity to be successful. But we also saw the results of the pressure – the need for large scale bike parking, and a bit less freedom to park where you want. Footpath cycling is a mixed blessing – even the well behaved Japanese cycling population includes the odd larrikin. However the sensible Japanese response seems to be to build more cycle paths, rather than force bikes onto the road. Perhaps that should be our priority rather than worrying too much about footpath cycling. How fast do EBikes go? Electric assist bikes (eBikes) are a great way to get into biking if you’re not confident about your physical abilities, or if, like me, riding a standard bike up Wellington’s hills has become frustrating. But some people are worried about how fast eBikes go, and feel that they will pose a danger to riders of standard bikes. So how much faster are eBikes than standard bikes? The answer seems to be “not much”. First, what does the published research say? The German Naturalistic Cycling Study (2017) found that eBike riders averaged only 2km/hr faster than people on standard bikes. Langford, Chen and Cherry (2015) found that eBikes averaged faster on roads (21km/hr vs 17km/hr) but slower on shared paths (18km/hr vs 20km/hr). Note that this was in the US, where eBikes are allowed to have more powerful motors. This study demonstrates that while eBike riders potentially have more speed, in places like shared paths they may choose not to use it. They also found that people had similar safety behaviours, whether they were riding eBikes or standard bikes. Next, I decided to see what happens in NZ. I spent a few hours on Wellington commuter routes, timing eBikes and standard bikes over about 100m, generally using lighting poles as markers. I found that eBikes averaged 26km/hr, standard bikes 23.4 km/hr, a difference of 2.6km/hr. This was a small study (9 eBikes, 55 standard bikes) with a crude method for measuring speed, but seemed to indicate that eBikes fell in the same range of speeds that standard bikes do. The fastest bike was a standard bike, and the slowest an eBike. It would be good to get a bigger sample, but I was getting tired waiting for the occasional eBike – although they’re becoming more common, I still had to wait a while between eBikes, and sometimes I’d fail to recognise them in time. So I turned to Strava, where keen people with GPS smartphones can record their activity when biking, running, and even hand cycling. Strava has an Activity Search which although a bit erratic in its searching, allowed me to compare ordinary bike rides (“rides”) with “E-Bike rides” that had been recorded in NZ. Strava gives a lot of data about each ride (I was tempted to compare the total calorie intake of eBike and standard riders! ), but I used the average speed and the maximum speed, and searched for rides recorded in Auckland, Wellington and Christchurch. I used 132 eBike rides, and 145 standard bike rides. On average, eBikes had an average speed 2km/hr slower than standard bikes (20.7km/hr vs 22.7km/hr). The average maximum speed for a ride was pretty similar: 49.3km/hr for eBikes, 49.6km/hr for standard bikes. This makes sense: if you’re going fast downhill, it doesn’t matter if you’re on an eBike or a standard bike – gravity is doing the work. There some caveats to the Strava data. People who record their rides on Strava are interested in performance, and probably go faster than “ordinary” riders. Some people mis-labelled their rides (in one case, an “eBike ride” was actually using a BloKart), though I think I was able to weed these out. My sense was that the eBike rides tended to be more utility oriented than the standard bike rides, which tended to be recreational sport rides. This could explain why this study shows eBikes averaging slower speeds than standard bikes. There was probably a broader range of individual riders among the standard riders than the eBike riders. So what can we conclude about eBike speeds, and whether they are a threat to people riding standard bikes, or walking on shared paths? eBikes are “designed to be primarily propelled by the muscular energy of the rider” so in theory people using them should behave similarly to people on standard bikes, and the research seems to show this. In fact we have a range of types of bikes and riders, that tend to travel at different speeds. A lycra clad rider on a dropped handlebar bike training for the Taupo Cycling challenge will travel at a different speed than someone heading down to the dairy on their upright city bike. It looks like eBikes are just another kind of bike, and their speeds fall into the same general range as other bikes. When is an eBike not an eBike? When it’s in Wellington’s Open Spaces, and not speed limited to 25km/hr, according to the definition of an eBike in WCC’s draft Open Space Access Plan. Overall, the Open Space Access Plan has much to recommend it. Wellington is fortunate in having reserves close to the CBD and easily accessible from all parts of the City. From my Aro Valley home I’m minutes from the CBD, but only a hundred metres from a track network that extends from the south coast to Johnsonville. The Plan’s vision of making the The Open Space Network accessible to all is a good one. Up till now, WCC has regarded eBikes as motorised vehicles, and banned them from reserves, such as the popular Polhill Gully tracks. As part of opening up the Network, the plan will allow eBikes to be used on selected tracks where sightlines, width of path, etc mean that environmental impact and user conflict will be minimised. This is good news – many Wellingtonians are finding that eBikes are the answer to hills, wind, and failing joints. The proposed eBike routes provide a good mix of commuter and recreational riding – for example the Hataitai to City route will enable eBike commuters to go over the low saddle between Mt Victoria and Mt Alfred connecting Hataitai to Majoribanks St and the CBD. The catch is that an “eBike” is defined as “a bicycle primarily pedal powered by human energy and may be assisted by a maximum continuous rated power of up to 300 watts of battery power, as well as limited to 25km/h”. Most eBikes on sale and in use comply with the NZTA definition “a power assisted cycle has an auxiliary electric motor with a maximum power not exceeding 300W and is designed to be primarily propelled by the muscular energy of the rider”. They aren’t mechanically limited to 25km/hr. Some higher end eBikes (e.g. with the Bosch motor system) comply with the EU Pedelec standard EN 15194: limited to 250w of power, and speed limited to 25km/hr. So the proposed definition will limit access to those who can afford $4000-5000 for an eBike, rather than the more common $2000-3000 eBikes that comply with the NZTA definition. Limiting speed on Open Space tracks seems like a good idea. However it’s unlikely that eBikes will reach 25km/hr under power on the Open Space Network. The tracks would not feel comfortable to most people at that speed. Most sections of the suggested tracks have significant gradients. Going uphill, it would be hard to reach 25km/hr with electric assist. Although it might be possible to reach 25km/hr going downhill, this would be through gravity rather than electric assist. EBikes in general don’t go faster than a standard bike with a fit rider. 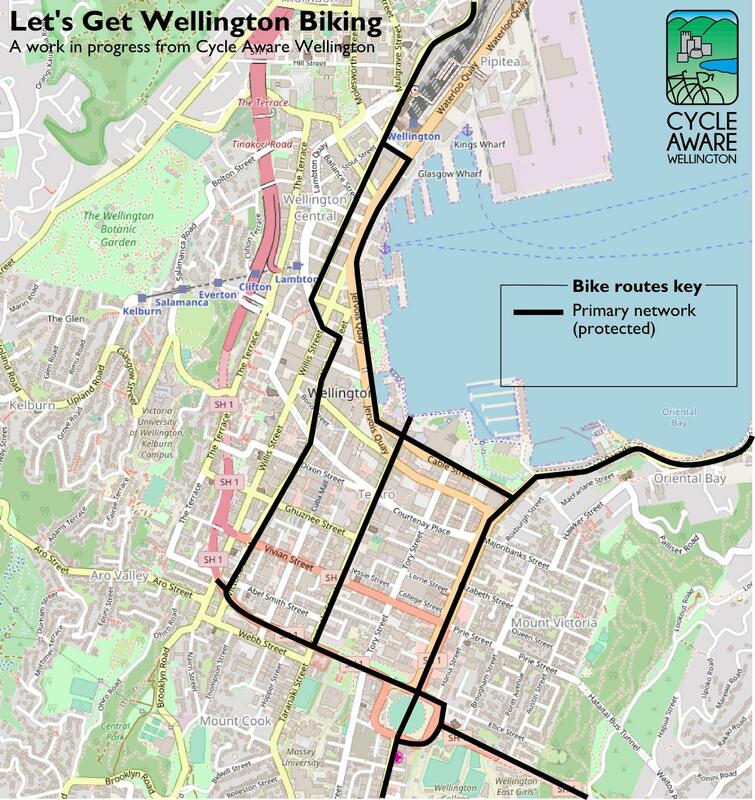 An informal survey of bike speeds on Wellington shared paths found that on average eBikes were only 2.6km/hr faster than standard bikes, and the fastest bikes were standard bikes. If speed is found to be a problem, this is best addressed through education and track design. When DOC faced this issue on the Otago Rail Trail, they decided to allow access to all eBikes complying with the NZTA definition, without requiring a mechanical speed limit. If you’d like to see selected tracks open to eBikes, submit on the plan, saying (use your own words, of course) that you agree with the proposals, but that all eBikes complying with the NZTA definition should be allowed on the tracks, and that mechanically limiting the speed should not be required.Submissions close 13 July. The national cycling meeting CAN Do was held the weekend before Easter in Hamiltron, city of the future, “An hour to the south of Auckland, and ten minutes into the future”. So what did this meeting of about 40 cycling advocates mean for the future of people riding bikes? A good number of us came by bike, which meant that the bike festooned railings at the venue briefly attracted the attention of a gentleman with boltcutters, before being seen off by one of the eagle eyed organising team. Who said Hamiltonians weren’t enterprising? Historians tell us that you can’t plan for the future without looking at the past. This CAN Do marked 20 years since CAN started, and Robert Ibell, the founding secretary and long time chair of CAN, took us through a history of cycle advocacy in NZ. Although progress seems frustratingly slow, a lot has changed since 1996: more funding, road rules that recognise cycling, and a growing level of infrastructure, both in amount and quality. Through its history, CAN has worked through volunteers and consensus: CAN is us, not them. One newer organisation that has been effective in highlighting issues such as climate change and transport is Generation Zero, and we heard from Arryn and Rowena about some Hamilton and Auckland initiatives. Generation Zero pioneered the online easy submission process, that has been particularly effective in getting approval for Sky Path, and boosting funding for cycling in Hamilton, for example. Paula Southgate of Waikato Regional Council itemised the cycling projects going on in the Waikato: the Western Rail trail using spare rail corridor to connect the western suburbs of Hamilton to the CBD, speed management, etc, all of which has led to a peak in cycle commuting in 2013. A particular challenge is the popularity of sports cycling on rural roads – similar to the issues we have in Wellington with places like Whitemans valley. The big achievement for Waikato cycling has been Te Awa, the river trails, described for us by the ebullient Sarah Ulmer, who has made the transition from elite athlete to cycling mum, and is pushing the vision of a 3m wide concrete path from Ngarawhahia to Lake Taupo, opening access to the river for cyclists, runners and walkers of all capabilities. Currently Te Awa connects Hamilton to the cycling centre of Cambridge on off road paths and quiet streets. While many people are involved in the Te Awa project, I suspect a reason for its success is that Sarah is simply a very hard person to say “no” to. Megan Smith discussed her university research into how cycling appears in policy documents. Despite one-off initiatives such as the Urban Cycleways Programme, most mentions of cycling are peripheral, seeing cycling as a recreational activity rather than as a key component of the transport network, and ignoring the potential role of cycling in mitigating climate change. Clearly we still have work to do lobbying for more appropriate recognition of cycling in government policy. Chris Foggin of Cycling NZ talked about the range of people cycling recreationally, including Reg, the 93 year old veteran who is still winning races, partly because he’s the only competitor in his age class. Chris talked about the Ride Leader programme, introducing beginners to cycling skills. Although aimed at recreational cyclists, it’s an idea that could easily be adopted for commuting. CAN Do attracted the politicians as well. Local MP Sue Maroney congratulated CAN on being one of the first lobby groups to contact her when she became Opposition Transport Spokesperson, and asked that we wave to her when we encountered her on a bike – she rediscovered cycling 3 years ago. Our own Wellington councillor Sarah Free also attended, contributing a local government perspective to our discussions. Elizabeth Claridge and Claire Pascoe updated us on NZTA’s cycling team – something that would have seemed impossible 20 years ago when CAN was formed. 8 of the 24 UCP projects are complete, and the team is undertaking initiatives to bring cycling into the mainstream such as hiring a social media specialist, and has published a Benefits Tool, a resource of information about the benefits of cycling. Until Vision Zero is achieved, we have to face the reality of traffic fatalities and injuries. Caroline Perry of Brake talked about their work addressing the global road toll, both at a macro level pushing for lower speed limits, and helping individuals work though the grief of losing a loved one to a traffic crash, through their book, Someone has died in a road crash. Richard Barter got us out of the meeting room to a nearby carpark where a Fonterra truck and trailer unit was waiting for us to see how invisible cyclists can be from the cab of a truck. This is sobering (but not surprising – in a previous life as a truckie, I once backed over a mini that was in my blind spot), although I think we need to also question why vehicles with limited visibility are allowed on our roads, particularly in urban areas. We also heard from local groups. CAW’s own James Burgess gave some background to the Island Bay saga, and how lessons for future projects are being applied in developing the UCP projects such as the Hutt Road path. Will Andrews reported on how projects such as the Railway Reserve and the Rocks have lead to a 9% cycling mode share in Nelson. Tom Halliburton told us how skilled political maneuvering succeeded in adding good quality bike infrastructure to plans for the Haywards intersection in Upper Hutt. David Crowley talked about some of Rotoruas battles and initiatives, including a bike festival where people get to ride the airport runway. They’ve also tried this in Hawkes Bay – a new Ciclovia vision, perhaps? Perhaps not an option for Wellington’s busier airport! Bevan Woodward and Paul Shortland discussed the burgeoning Auckland cycling scene, where the newly rebranded Bike Auckland works alongside other groups such as Auckland Bike Style to bring cycling into the mainstream of a traditionally car oriented city. 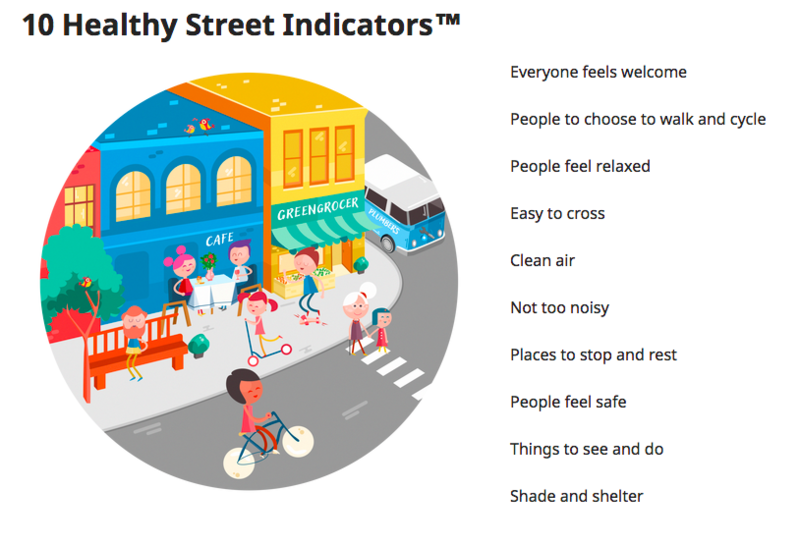 (I was interested to see that Janette Sadik-Khan’s Street Fight features Auckland in her survey of global initiatives to make cities more liveable). Even better, Skypath seems on track to at last connect the north shore to the CBD for cyclists and walkers, which could transform how people view active transport. I suggested that a way to fund Skypath is simply to buy up properties in Northcote, waiting for the inevitable rise in value when people realise that like Herne Bay, the suburb will be in walking and cycling distance of the CBD. Lyn Sleath of Kapiti talked about work to make north south cycling through Kapiti more accessible, Otaki bridge being the latest battleground. In Hawkes Bay shared paths are an issue, leading to a “stop the startle” campaign to use bells and voice to warn other users. Lynneke Oderwater of Whanganui told us about how the Mountains to the Sea route is providing an urban cycleway parallel to the river, complemented by the Te Tuaiwi spine. The local group has been successful in getting a regular cycling stories in the local paper, about for example an opera singing cyclist, and a person losing 100kg through biking. What’s the future for CAN as an advocacy organisation? At the AGM we discussed proposals for a more professional, mass membership basis for CAN. But we also heard from Jo Mackay and Patrick Morgan presenting the proposal for a 3 year “Love Cycling” campaign to build supportive communities for cycling, and ensure that UCP money is spent effectively. This raises questions, such as how we persuade people who see cars as “normal” transport to love cycling, but it’s a bold initiative that’s worth following up. Bevan Woodward facilitated a session where we tried to identify what CAN’s role was: lobbying and media of course, but also speaking to the “interested but concerned” to reassure them that cycling is a good transport option. Above all, we need to sign up for BHAGs – Big Hairy Audacious Goals. CAN Do 2016 showed that the future of cycling is bright – but people on bikes need to be involved. If you’re not already a member (if you’re a member of CAW, you’re automatically a member of CAN) please join, and get involved to get more people on bikes, more often. Thanks to Claire and the CAN Do 2016 organising team for an inspiring weekend. The presentations from the meeting are available. Lights and reflectors – do we have what it takes? As winter closes in, we all check our bike lights and reflectors to make sure we’re visible on the commute home, and following the Road Code guidelines for lighting, right? Well, maybe not, according to some research carried out by Rongotai College year 9 student, Leo Griffiths,. For a Science Fair project, he investigated whether people on bikes complied with the Road Code guidelines, and whether cyclists were aware of the requirements. His results are a wake-up call. Leo’s research was in two parts: first, observing bike riders at night to see if they complied with the Road Code guidelines, and secondly, an online survey of cyclists to find out if they were aware of the guidelines. Pedal reflectors or reflective clothing. The online survey of 136 people on CAW’s Facebook group asked what people used when they biked at night, what they thought the requirements were, and what they thought would most improve cyclist visibility. Only 33% of people said that they used a set of lights and reflectors that complied with the guidelines. Like the roadside survey, the main issue was lack of reflectors. Only 29% correctly identified the Road Code requirements, again mainly because they didn’t list the reflector requirements. 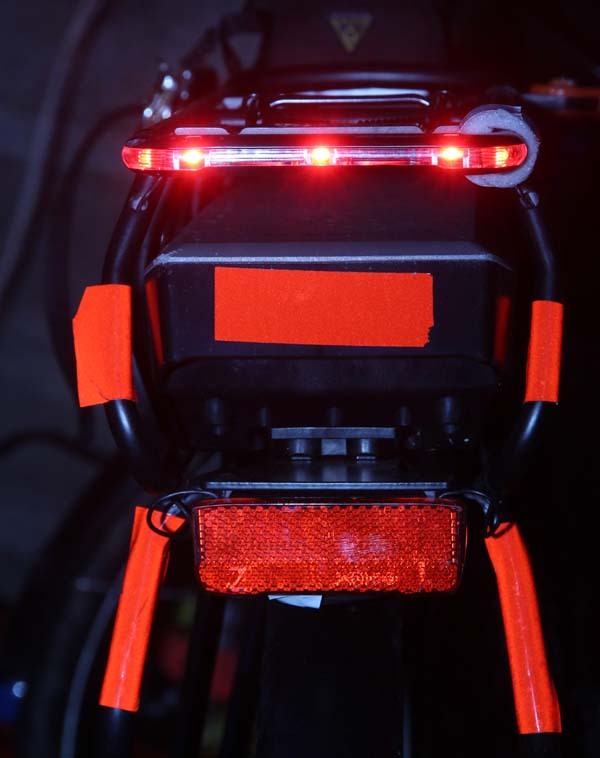 The most popular suggested improvements were more reflective clothing, particularly on the legs (more visible because they move up and down), and better lights. What are we to make of this? In some ways it’s not surprising that many bikes lack reflectors. Most bikes leave the bike shop with reflectors (although some high end bikes don’t) but they often fall off and aren’t replaced. Pedals with reflectors are replaced by clip in pedals without reflectors (I have to plead guilty here!). Mudguards, the traditional place to place reflectors, are less common now. My informal observation is that a lot of us rely on reflective clothing and packs rather than reflectors on our bikes. This can be very effective, so long as we actually wear the gear, and don’t, for example, put on a non-reflective parka on a wet evening. It could be that the guidelines should be updated to put more emphasis on reflective gear. We seem to be reasonably conscious of the need for lights, and GWRC have been giving us good information about our choices here. Indeed there are concerns that some bike lights may be too bright, interfering with other people’s vision. Flashing lights in spokes facing sidewards. You can read Leo’s full report (which earned him second prize in the Rongotai Science Fair) here: ScienceFairTextv1.docx. Thanks to Leo for a useful piece of research that should get us thinking about how we make ourselves visible at night, and that we are familiar with the guidelines. Today, 17 April, is the last chance to submit on Wellington City’s 10 year plan. if you’d like to Wellington to be the Copenhagen of the South Pacific in 2025, here’s your chance. You can either make a formal submission, or give quick feedback. 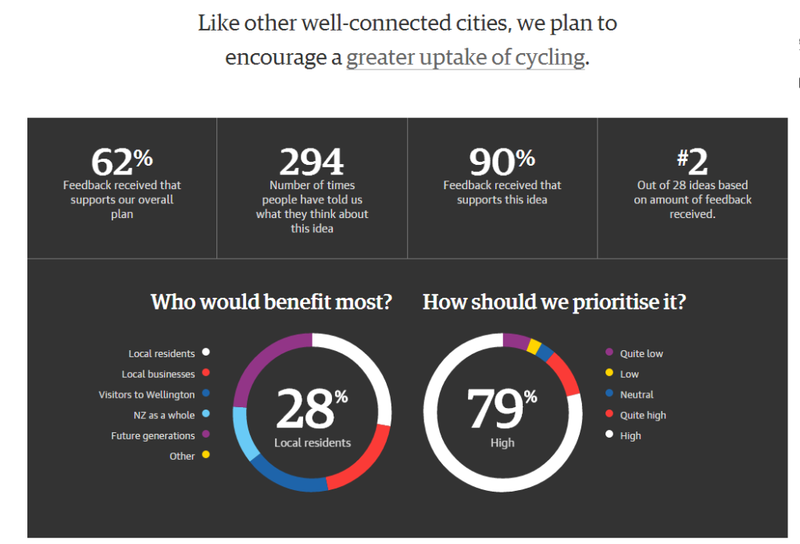 An improved cycling network is popular, according to the online feedback. It’s received the second most amount of feedback of the 28 proposals WCC has put up, with 90% in favour (unlike the airport runway,which has had the most feedback, but only 55% in favour). Complete key routes such as Petone – Wellington CBD, and Island Bay to CBD, as soon as possible. Encourage transport modes such as cycling that don’t generate fossil fuel emissions. Don’t privilege cars in transport planning. Motor vehicles create fossil fuel emissions, congestion, and promote obesity. Providing free parking, and wider roads only encourages car use. If you’re really short of time, you can submit using Generation Zero’s quick submit. In the past few years the number of people I see on bikes riding from Newtown to town in the morning has literally quadrupled. Unfortunately, many of the people I see stopped at the lights are on seriously terrible bikes. I’m see rusty, too-big or too-small mountain bikes with brakes that barely work and people look unconfident and uncomfortable on their bikes. Riding the wrong bike can actually make cycling seriously not fun. Recently several of my colleagues have gotten bicycles with the intention of cycling to work. I have noticed that they too seem to have missed some items that to me are essential for bike commuting. Gears- There are hills here. You need gears to get up them. I have 21 but 7 is probably enough. Comfortable seat – Be kind to your behind! Give it some cushioning. Mud guards – This follows on from the point above. It rains here all the time. You will wind up with a seriously wet bum without mud guards. Rear rack – If you’re like me and live at the top of a giant hill, when you leave for the morning you take everything you will need with you and consequently look like a hobo (ok, that’s just me). But really, most people will probably need to have a bag of some sort, maybe a laptop, lunch, gym gear, a raincoat, yoga matt, several books, keys, phone etc etc. You don’t want to carry all this in a backpack, your back gets sweaty and it’s not comfortable. Also one of the great things about riding a bike is it’s easy to stop at the shops as you pass them, so you can pick up groceries and other stuff on the way home. A rack is essential for carrying all your stuff! Helmet – It’s the law, even if you hate them, you kinda have to have one. Lock – yes, I have accidentally left my bike unlocked all day at the railway station and no one stole it, but don’t be foolish and tempt them, lock it or lose it! Lights – Front and rear. You need them. A bike that fits you – this means the frame is the correct size and shape for you. 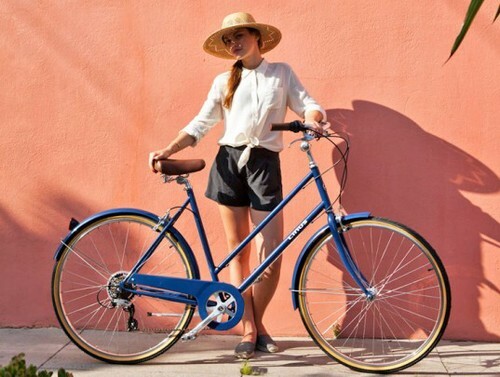 I have a vintage ladies frame bike that I like because it has a step-though frame and it basically the perfect size for me. Personally, I don’t recommend mountain bikes for anyone who is commuting, or fancy expensive road bikes. You want something that is functional and sturdy, that you can ride in the rain or the wind, leave outside, carry 20 kgs of groceries home with, and it to run perfectly and not need all sorts of fiddling. For men I would suggest Linus Roadster or any of the Pilen men’s models. Just do make sure you get a rack! Are considering commuting by bike or have questions about it? Feel free to ask any questions and share your thoughts on biking to work with us.